For any website, the contents that are incorporated therein are an important ingredient, which not only makes it attractive but is also quite valuable from the SEO point of view. As the benefits of having blogs is realised by the portals, they are coming out to hire the services of a competent blog management agency, so that the works can be done properly. The benefits that the blogs bring across into a website are many, and usually comprise of maximising the blog performance, increasing the visitor's response, the reach of the site is enhanced among the targeted customers along with improvement in the communications, and it finally helps in promoting the product and services. Along with the various advantages of the blogging activities, the one that is inescapable is the opinions and feedbacks that are elicited which helps in deciding the future course of action. Having a blog nowadays is considered as one of the most effective tools for a website as it is the place where the maximum interactive performance takes place. To enhance the blog management services, the expert writers are hired who have a good number of years of experience behind them. They are aware of the types of blogs that are needed by the companies and for the particular client website. It is due to their experience in blog management that websites from different streams are able to find their due rankings, even though they are selling the same products. To help in the search engine optimisation process, the blogs that are written are in effective layout, so that newer posts can be continuously added. Blog writing is done by in-house experts and by freelancing experts who are proficient in different fields. Those blogs that are being written are very relevant to the subject matter and are written keeping the keywords in mind. 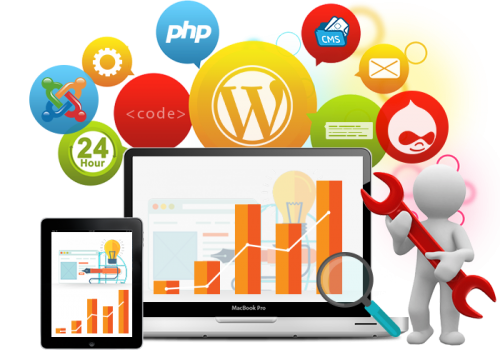 At Net Soft Lab The Web, there are enough experts and knowledgeable people with years of experience, to carry out any kind of blogging activity that can possibly put the websites into the top of the search engine rankings. Blog management has become one of the best utilised features of the services provided by the SEO agencies which should be taken advantage of, by the portals so as to get the maximal benefits.